Altimetry satellites basically determine the distance from the satellite to a target surface by measuring the satellite-to-surface round-trip time of a radar pulse. However, this is not the only measurement made in the process, and a lot of other information can be extracted from altimetry. The principle is that the altimeter emits a radar wave and analyses the return signal that bounces off the surface. Surface height is the difference between the satellite’s position on orbit with respect to an arbitrary reference surface (the Earth’s centre or a rough approximation of the Earth’s surface: the reference ellipsoid) and the satellite-to-surface range (calculated by measuring the time taken for the signal to make the round trip). Besides surface height, by looking at the return signal’s amplitude and waveform, we can also measure wave height and wind speed over the oceans, and more generally, backscatter coefficient and surface roughness for most surfaces off which the signal is reflected. If the altimeter emits in two frequencies, the comparison between the signals, with respect to the frequencies used, can also generate interesting results (rain rate over the oceans, detection of crevasses over ice shelves, etc). If the altimeter emits in two frequencies, the comparison between the signals, with respect to the frequencies used, can also generate interesting results (rain rate over the oceans, detection of crevasses over ice shelves, etc.). 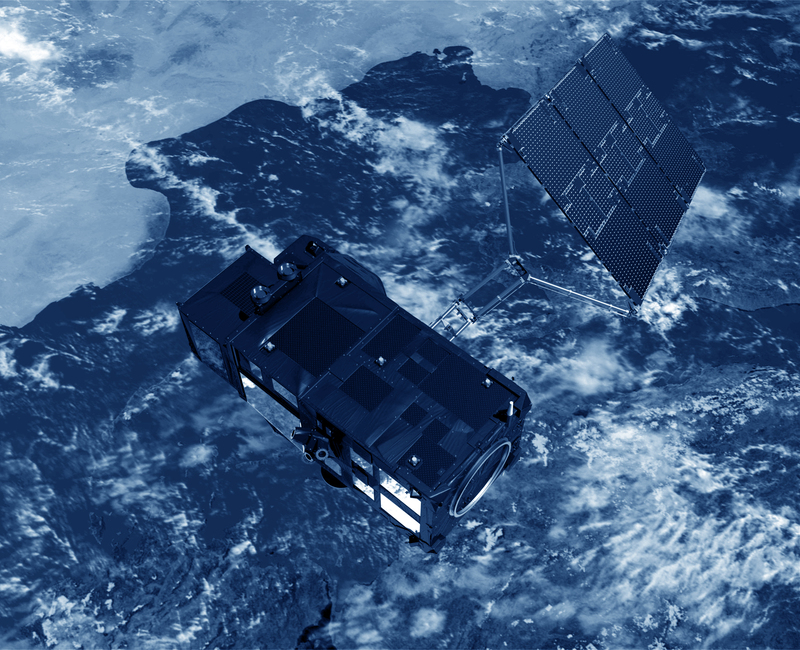 To obtain measurements accurate to within a few centimetres over a range of several hundred kilometres requires an extremely precise knowledge of the satellite’s orbital position. Thus several locating systems are usually carried on-board altimetry satellites. Any interference with the radar signal also needs to be taken into account. Water vapour and electrons in the atmosphere, sea state and a range of other parameters can affect the signal round-trip time, thus distorting range measurements. We can correct for these interference effects on the altimeter signal by measuring them with supporting instruments, or at several different frequencies, or by modelling them. Altimetry thus requires a lot of information to be taken into account before being able to use the data. Data processing is also a major part of altimetry, producing data of different levels optimised for different uses at the highest levels.